These are a stunning Pair of Italian Mazzega designed Chandeliers dating to Circa 1950. 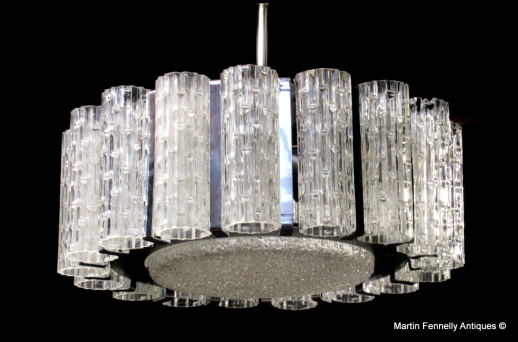 They are a great size and a very Iconic Mazzega Design with 17 Murano Crystal Tronchi completing this rare Pair. To find intact Mazzega Chandeliers is rare but to find a Pair was very fortunate. 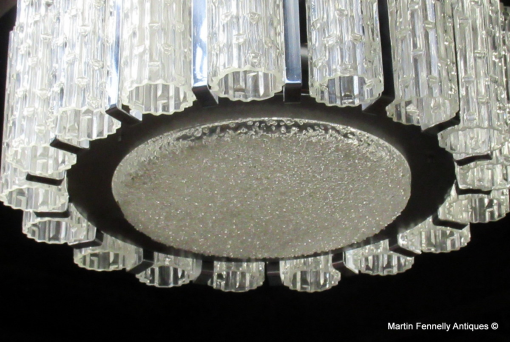 These would enhance any modern interior and when illuminated - They make for a spectacular view.